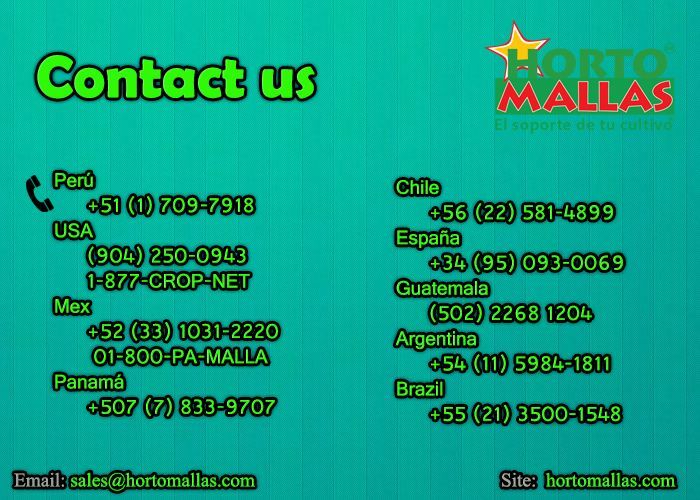 The advantage of the HORTOMALLAS mesh is that it can be used vertically and horizontally. I always wondered how could I improve my crop yields organically, that is using less chemicals as possible to combat plant phytopathogens in order to achieve an organic crop, also for the economic advantages involved (less costs, higher produce prices) and i discovered horticulture net by HORTOMALLAS. 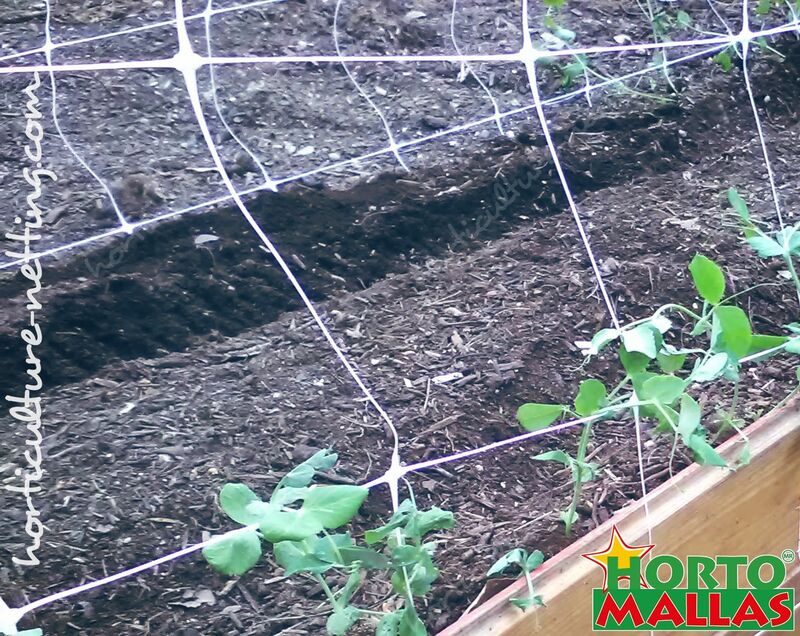 Horticulture net is a plastic mesh or net that can be installed vertically (or horizontally) over the furrows with vegetables. In the case of cucurbits like cucumbers, squash or melons the same plant´s tendrils will find a way to attach themselves to the net and impulse the plant upwards as it will be sustained by the net. In the case of solonacee like tomatoes peppers or eggplants then it is recommended to use a double wall of net along both sides of the furrow “squeezing” in a sandwich the plants as they start growing, this way the branches will go through the meshes and start leaning on the horticulture net as the fruits start growing and gaining weight. Another advantage of the HORTOMALLAS mesh is that it reduces humidity and air flow. This trellis netting is excellent to reduce pathogens because it increases air flow and as it decreases relative humidity around the leaves. Humidity foments the development of micoidal-fungal pathogens, so by increasing and improving solar exposure and air flow one indirectly reduces the fungal attacks to the plant. When compared to support raffia twine, horticultural net also decreases the cost of installation and plant tutoring, and the rate of diseases spread mechanically by the workers´ hands. As one can easily grasp, pathogens are not only spread by thrips or white flies in a field, but also by the physical contact of the workers that go down the furrows during pruning and tutoring, and touch one plant and then move on the the next… if that one plant was diseased by virus, bacteria or fungi then the hands become vectors and spread the pathogen all over, This is why vegetable support net reduces diseases as the plant does not need as many manual interventions during the training and tutoring operation.